Share your family with us and enter to win 15,000 points! What’s your family like? We want to know! 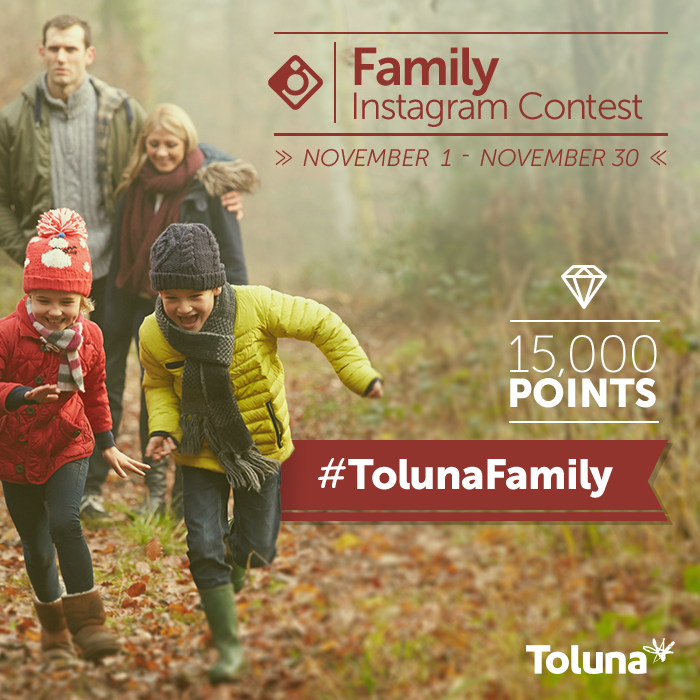 Take a picture of the people you consider your family in our new Instagram and Twitter contest: #TolunaFamily. As always, there will be two winners who take home 15,000 points each – one selected from Instagram and the other selected from Twitter.